This Friday Shopping comes from Austria and the great design and furniture shop Spielwiese. What a place! Packed with everything from mid-century classic furniture to nordic interior design products, we have to recommend this shop as a must see, if you happen to be in Linz at some point. 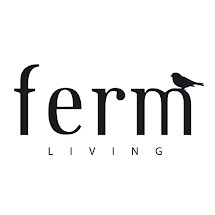 ferm LIVING is a Danish company that designs and manufactures interior design products with a graphic touch. We are constantly racking our brains to come up with new ideas, designs and find new sources of inspiration. That's why we created this blog where inspiration, design and quirky details can blossom and grow. "Staring Out The Window" - Fulton Lights from Ninian Doff on Vimeo . Hilarious! You start out with a potato and you end up with a print, you can use on a CUSHION .